We were looking for a full list of parties for the RSA Conference in San Francisco, but couldn't find one. So we made our own. Note: There's another good list of RSA parties here. Register for Demisto’s second annual user group conference to participate in lively discussions, listen to industry leaders and learn real-world use cases. This VIP event will take place at the sophisticated Terra Gallery in San Francisco. Your senses will be filled with art, fine cuisine and open spaces. 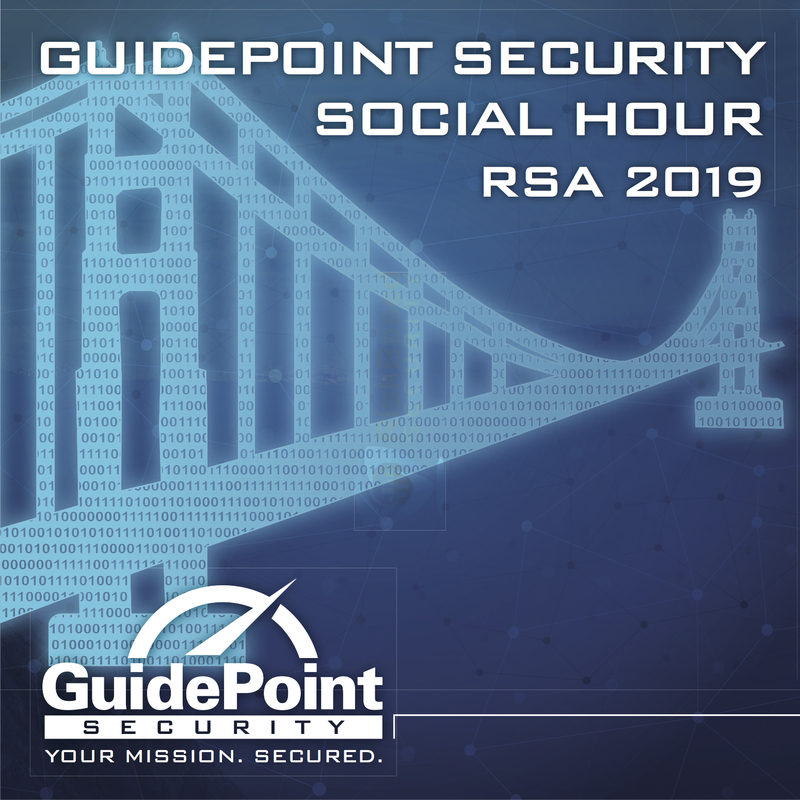 Join GuidePoint Security, together with partners Contrast Security, CrowdStrike, Demisto, RedSeal, Risk Based Security, SecurityScorecard, Splunk, and Venafi for a fun and informative social hour during RSA Conference 2019 in San Francisco, from 6:30-8:30 p.m.Monday, March 4. Join us on Monday, March 4 for open networking, food and drinks at TRES-SF. This is a great opportunity to mingle with members of the local cybersecurity and broader IT community, including executives from vendors, end-users, analysts, media, integrators/contractors, associations and more! YL Ventures, Momentum Cyber and Ten Eleven Ventures are hosting a private reception for partners and friends during RSA Conference 2019, bringing together industry experts, executive leaders and venture investors under one roof! Join us for our fifth annual craft beer tasting and networking event! Enjoy the tastes of local California brews and non-alcoholic beverages as you mix and mingle with forward-thinking peers. Event is free for Full Conference attendees. All other badge holders can purchase tickets through registration for a fee of $25. Event access is limited and is on a first come, first served basis. Once RSAC is over, walk a block to the brand-new Virgin Hotel and join us on the Rooftop Lounge. Take in the panoramic view of the cityscape while enjoying a specialty cocktail or drink of your choice and tasty appetizers. Mingle with security experts and friends. As the sun sets, enjoy the music and live entertainment. Be prepared to be dazzled! 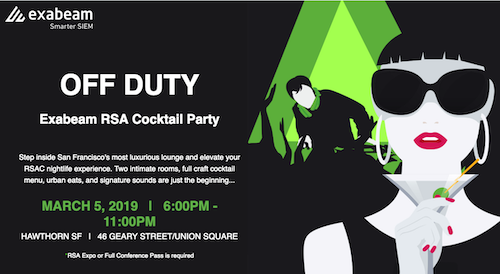 Time: 6:00 – 9:00 PM Location: City View @ Metreon This will be the most talked about party of RSAC 2019. Last year, the space filled – don’t miss your chance to get on the registration list! We have food, drinks, the hottest security vendors in the space, live music and you won’t want to miss the view from City View @ The Metreon. Space is limited, register to hold your spot. Step inside San Francisco’s most luxurious lounge and elevate your RSAC nightlife experience. Two intimate rooms, full craft cocktail menu, urban eats, and signature sounds are just the beginning…presented by Exabeam in partnership with Corelight. Back by popular demand, Bugcrowd hosts its 3rd annual Mayhem at the Mint on Tuesday, March 5, 2019. You don’t want to miss this opportunity to network with over 1,200 top InfoSec executives and decision makers at one of the best RSA afterparties – and enjoy an exclusive performance by Dual Core, the industry’s most popular nerdcore rapper. 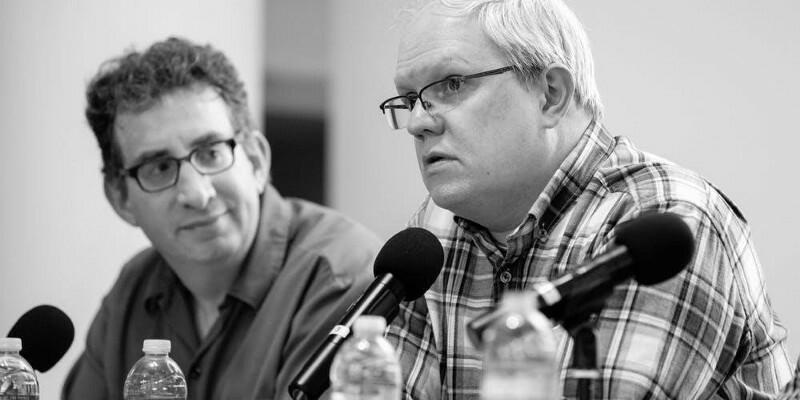 See the CISO/Security Vendor Relationship Podcast recording in person! Your regular hosts David Spark, producer of the podcast and series will be there along with Mike Johnson, CISO of Lyft. Our special guest for this supersized in-person recording of the podcast will be Melody Hildebrandt, CISO, FOX. 6:45 pm — Show wraps and we network. Food and drink will be served. Space is limited so please RSVP. 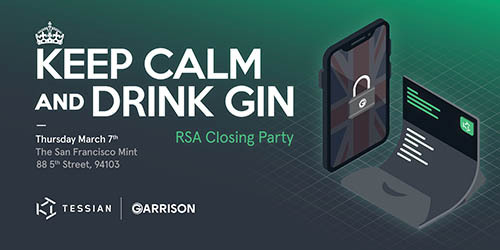 Time: 3:00 – 6:00 PM Location: The San Francisco Mint 88 5th Street Join Tessian & Garrison for their RSA Closing Party. RSVP Now for a full Afternoon Tea, Pimms, Beers and G&Ts. Fill out the form on the page and we'll schedule a time to meet.